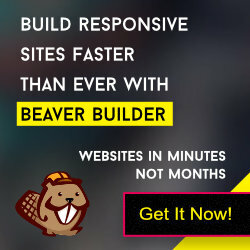 GBeaver theme has inbuilt sticky menu effect. In this post, we show you how to add the site logo into sticky menu bar. Step 1: Create a sticky logo and upload into assets/images folder. Step 2: Open the functions.php file and add the following snippet there. Note: Before editing the file you may want to keep a backup of your work. I added 173×42 pixel image. You may have to adjust it based on your site design.